← How Much Do You Like Local Food? Hiking up the hillside at Heart2Heart Farms in Sherwood reminded me of my days visiting farms in West Virginia. More like my former home that other farms I have recently visited in the Yamhill Valley, the terrain on the 10 acres Tyler Boggs and his wife Elizabeth purchased 3.5 years ago is rugged. 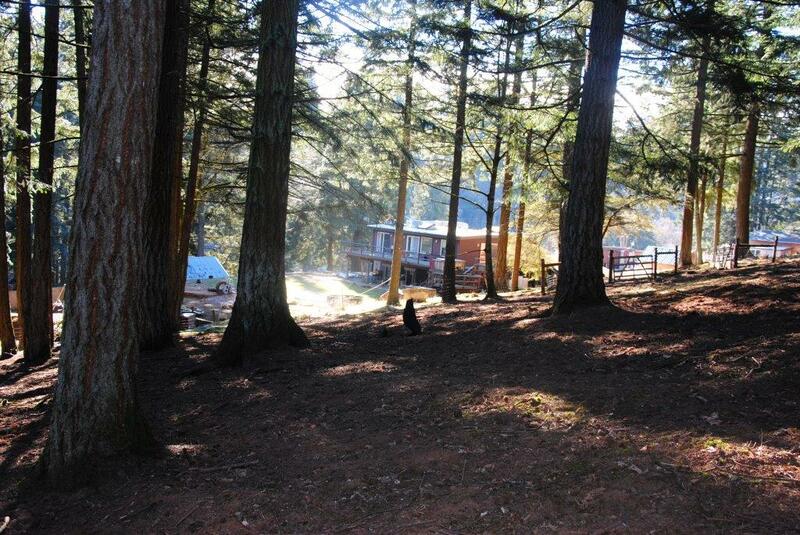 When purchased, there was a house and a shed, and the hillside was covered in evergreens and blackberries. They started to clear the land and the farm began to take shape. The farm started simply as a hope to raise healthy food for their family, but one day Elizabeth came home from her job as a nurse, upset about a 9-year-old child who had come in pregnant. (Increasing, there seems to be a correlation between hormones fed to commercially raised animals to increase weight gain and early onset puberty.) Their personal concern about the way the food system had changed in the U.S. turned into a mission to help educate the community that they have a better choice and it is time to make that decision. 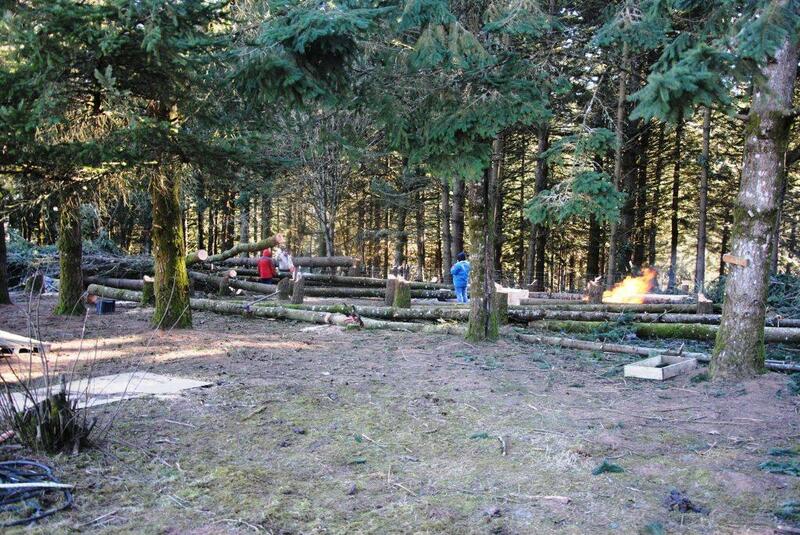 Now, the farm is taking shape with more timber cleared recently on SuperBowl Sunday. While the rest of us were moaning or cheering, Tyler was knocking down 20 trees. 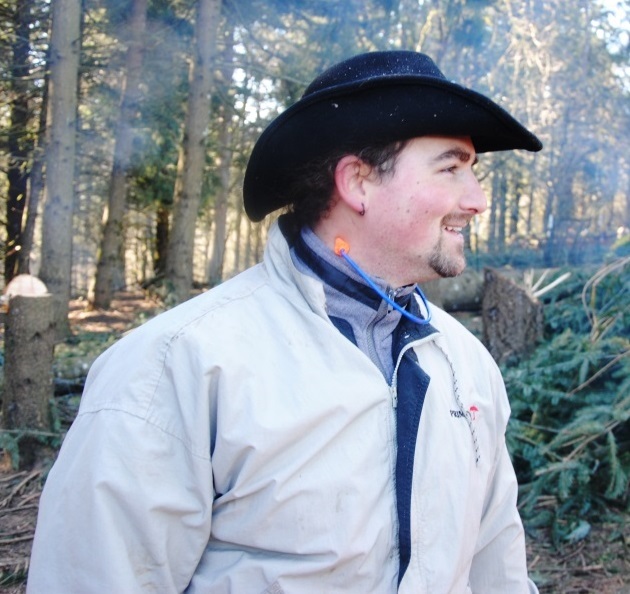 Logs are being trimmed to season and then be used for additional onsite sheds and barns as has already been done to house the various animals. And there are a variety of animals. For the most part, Tyler has a strong preference for heritage breeds, including several kinds of rabbits, Guinea hogs, a variety of chickens, sheep and goats. Tyler has an arrangement with a dairy farm in the southern part of Oregon. 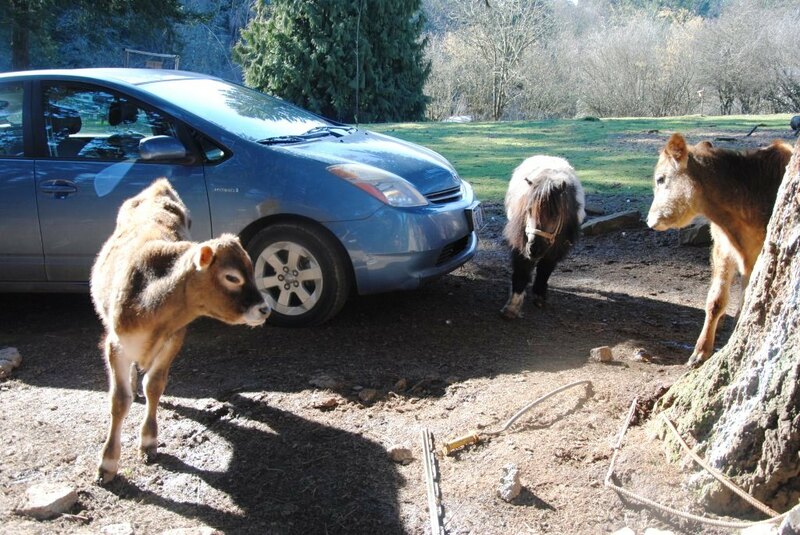 He rescues very young male Jersey calves; as a dairy breed male calves are typically euthanized soon after birth. Instead, Tyler raises them for meat. 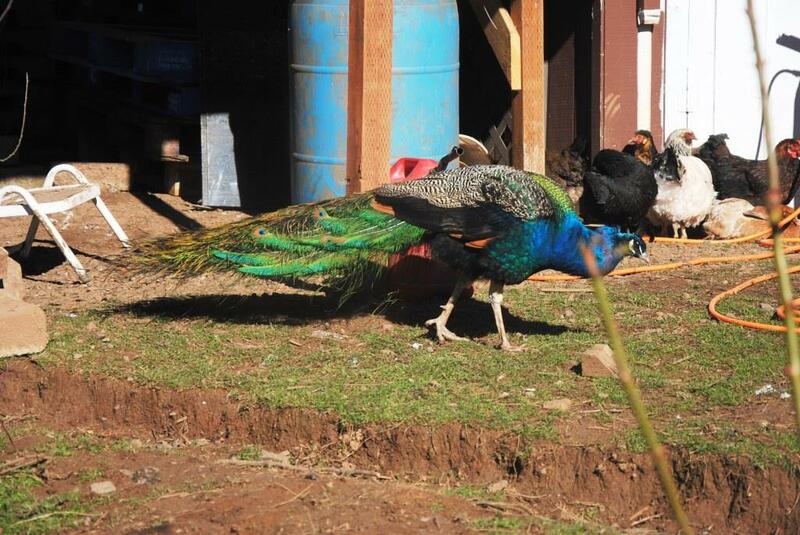 Finally, there are several companion animals on the farm: the llama protecting the sheep from coyotes, the peacocks chasing off the hawks from the chickens, and several dogs that keep the goats out of the fields. 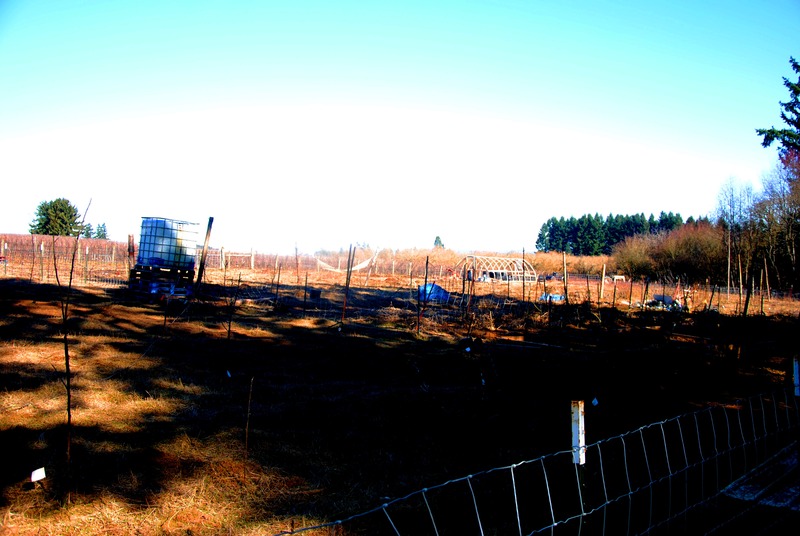 Running a CSA, the fields are being expanded this year to provide more variety and abundance. In addition there are over 250 recently planted fruit trees, including several varieties of apples, pear, Asian pears, pomegranates, pawpaws, persimmons, cherries, loquat and mulberries. The farm also raises over 100 varieties of medicinal herbs. As if that isn’t enough, there are other activities in motion: 2 aquaponic ponds are being prepared for raising a variety of fish and educational classes are offered monthly or more on a variety of subjects related to homesteading and sustainable farming. And more: in the clearing of the evergreens near the front of the farm buildings, several were left in place with limbs and tops removed. The Confederated Tribes of Grand Ronde will be carving power poles and other activities are planned to celebrate . And more: in the interest of offering a family experience on the farm, Heart2Heart welcomes visitors and volunteers. There is a strong need for additional help, of course, but it is a mutually beneficial experience. While I was visiting I met several volunteers. 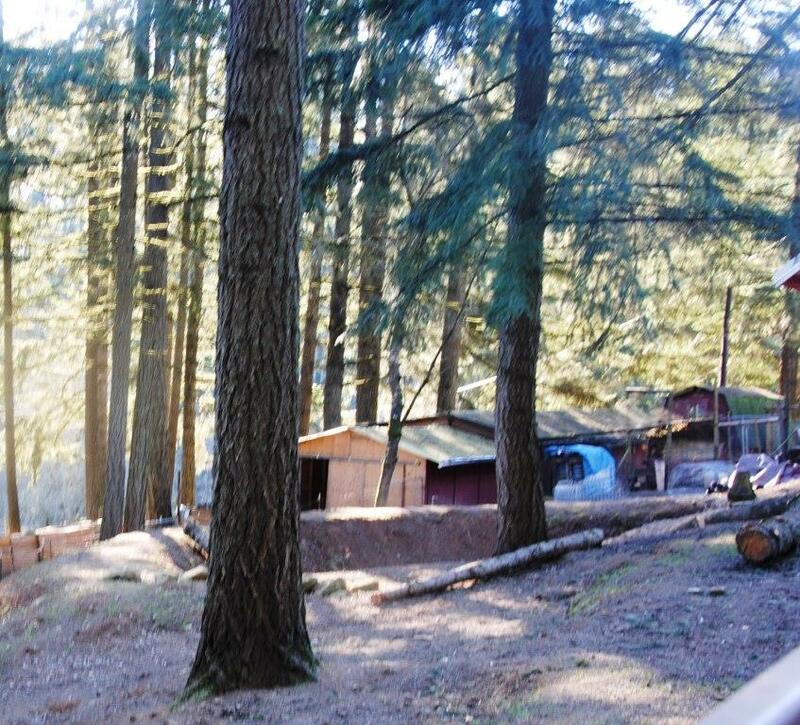 One man in his early 20s had traveled to Oregon from his home in California. He stays with his grandmother nearby and is learning about sustainable farming, eager that at some point he will be ready to head out on his own. Another woman lives nearby on a quarter acre in town, hoping to turn that into a sustainable farm for her family. The skills they learn more than compensate them for the time and energy they contribute. But that is not all. Heart2Heart Farms tries to use all materials on the farm. Like the downed trees used to build sheds and barns, other items are also put to use. With animal processing on the farm, there are bone, horn and hides available for use. Crafters interested in using bone for scrimshaw should contact the farm manager, Emily, at 503-891-2530. In addition, crafters interested in chicken, duck or peacock feathers are encouraged to call. In fact, Tyler, who has run several businesses, has offered to help someone establish a crafts business at the farm. 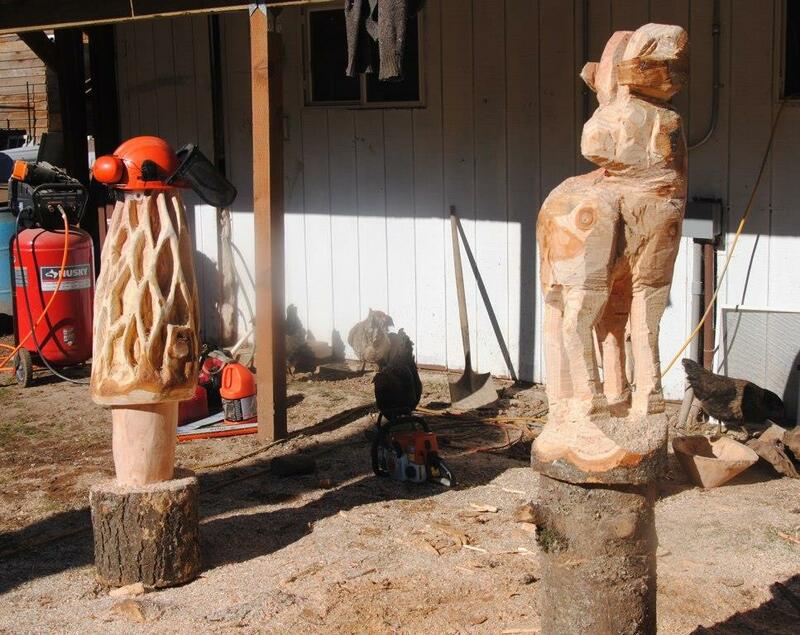 One man has recently started using the timber to produce chainsaw sculpture. Heart2Heart Farms would like to identify landowners who have pasture available for the calves. 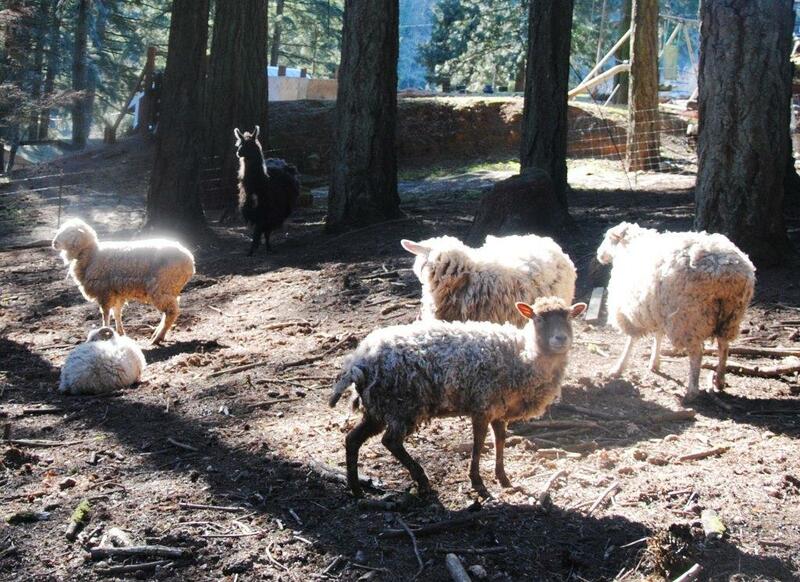 They could graze for the summer, providing sustenance for the animals and a farm tax use for the property owner. In addition, the property owner would receive processed beef. There is so much going on at Heart2Heart Farms that I don’t think I really saw it all. I fully expect to return pretty soon for one of those educational seminars myself, but also on other occasions to see the new activities, events and animals that makes Tyler and Elizabeth’s Heart2Heart Farms one that will beat on for a long time.